There is a reason people are advised never to cheat! How disoriented a woman named Casey must have felt when she received screenshots of racy text messages her soon-to-be-husband had sent to another woman just the night before her wedding. However, Casey, instead of breaking apart, decided to handle the scenario in the fiercest way possible. 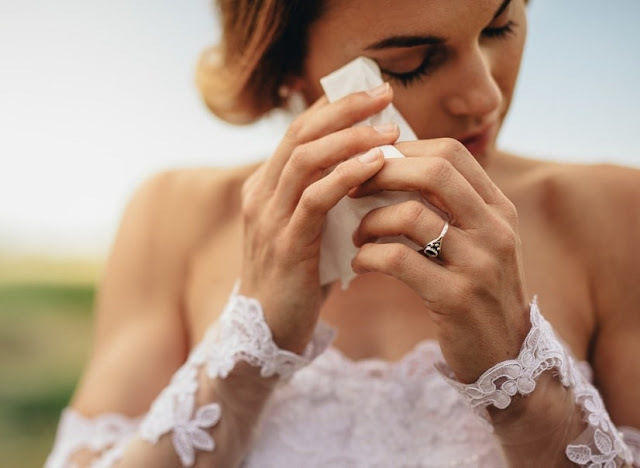 According to her essay, published on News.com.au, Casey, after losing sleep the night she saw the messages, reached a firm decision in the morning of her wedding day. Then she took out her phone and read the text messages that he had sent this other woman out loud. “Every word [felt] like a dagger in my heart,” Casey wrote. Crying, she looked him in the eyes, but said nothing. Instead he simply stomped out of the church as his family looked on, horrified.